Go Green + Get Rewarded! Good Morning! Today, I wanted to share something I have been doing for a year or so and absolutely love. 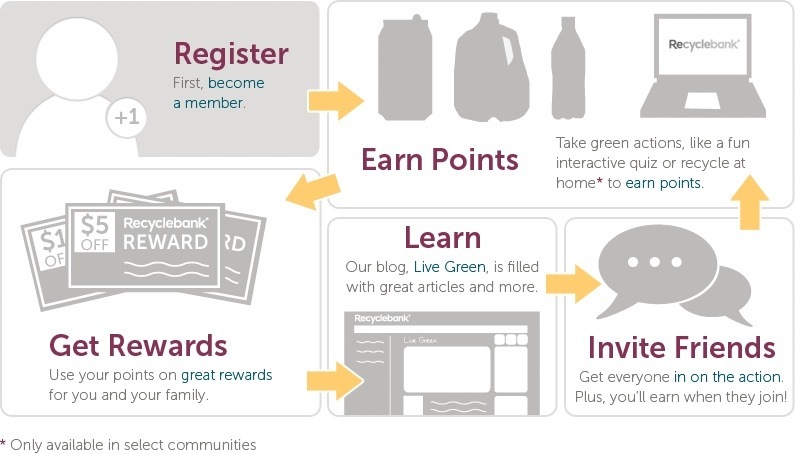 Recyclebank is an amazing site that provides green tips and rewards you with points for reading! It is easy to earn points and best of all you can earn rewards like magazine subscriptions, gift cards, and coupons. Anyone who knows me, knows I cannot pass up a coupon! Give it a whirl! I promise you won’t be disappointed! What could be better than doing something great for the Earth and getting rewarded for it! ?